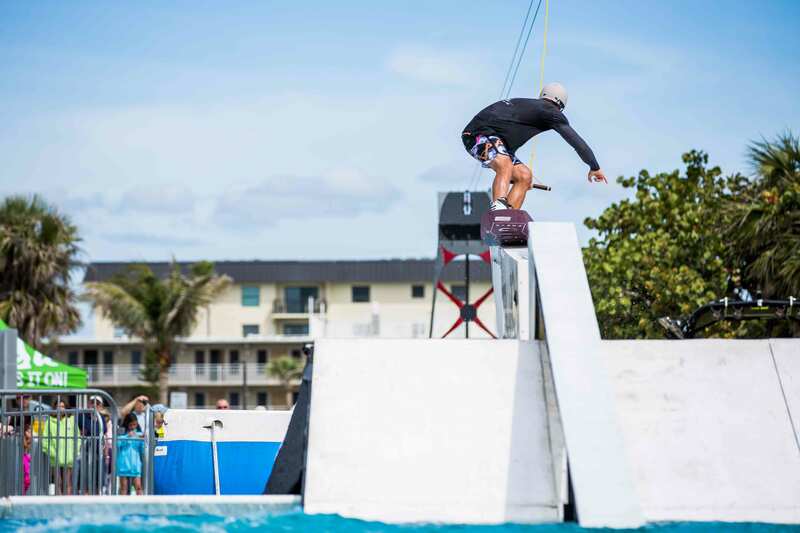 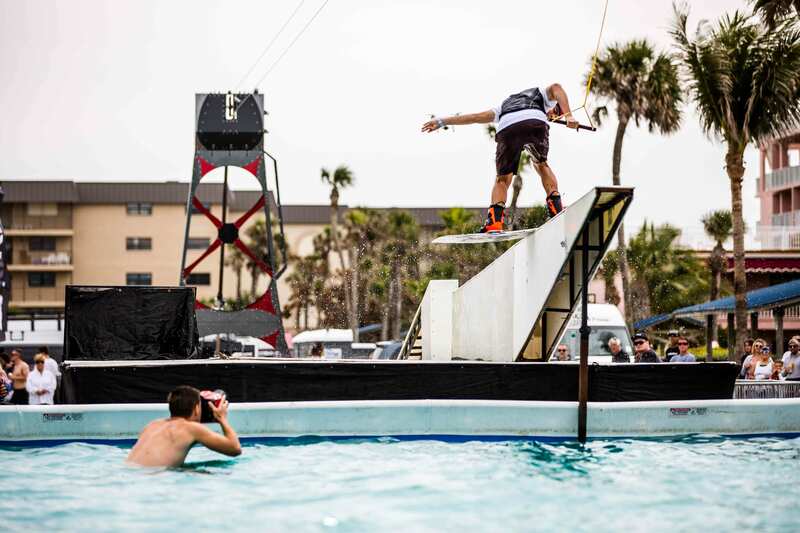 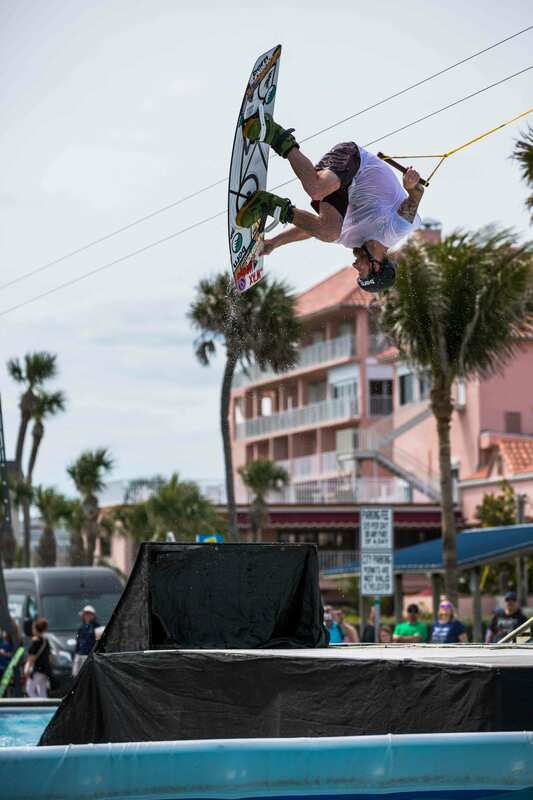 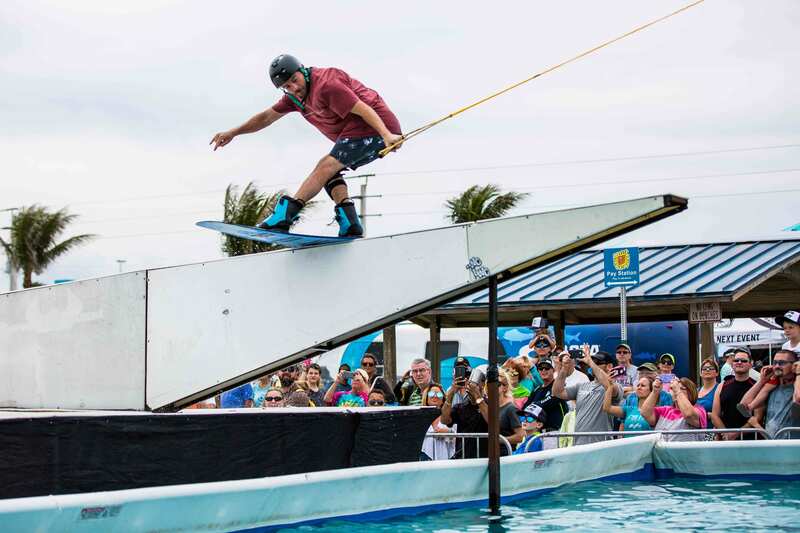 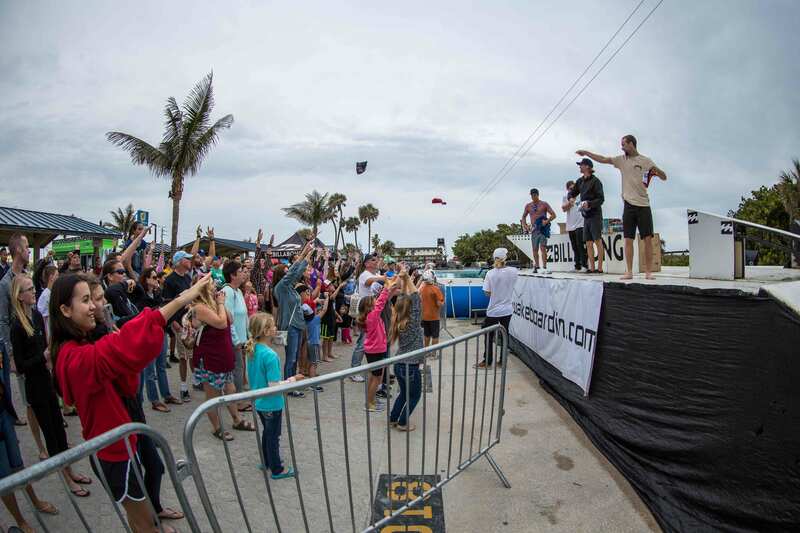 The Billabong pool jam has become a staple part of Ron Jon’s Beach ‘n Boards Fest in Cocoa Beach, FL each spring. 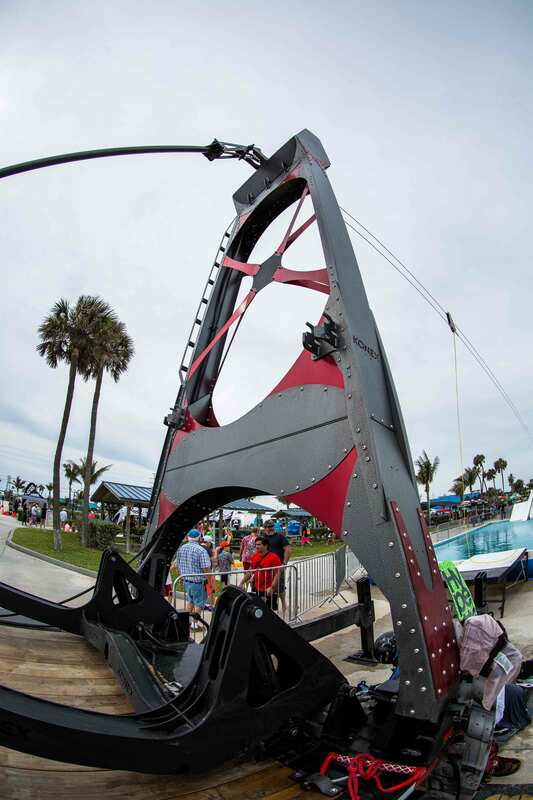 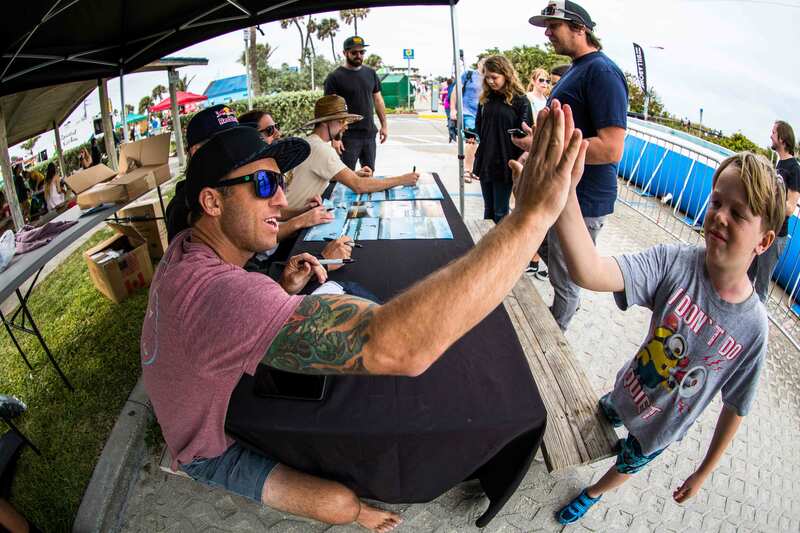 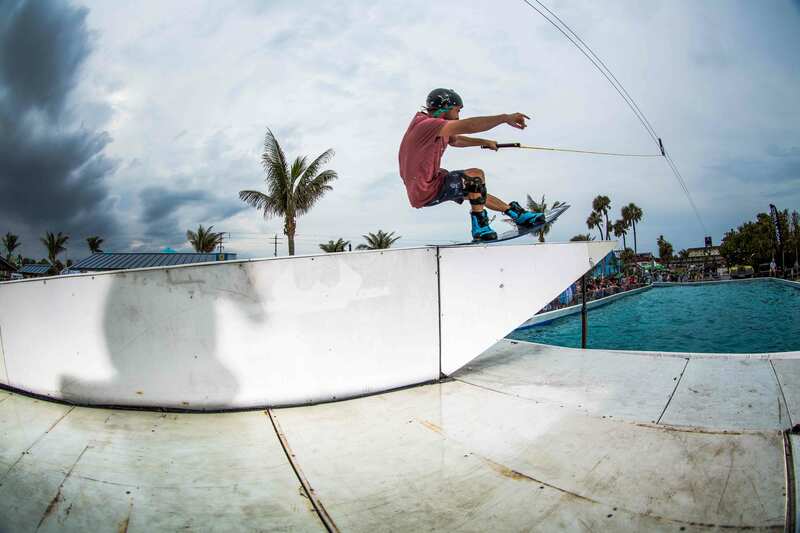 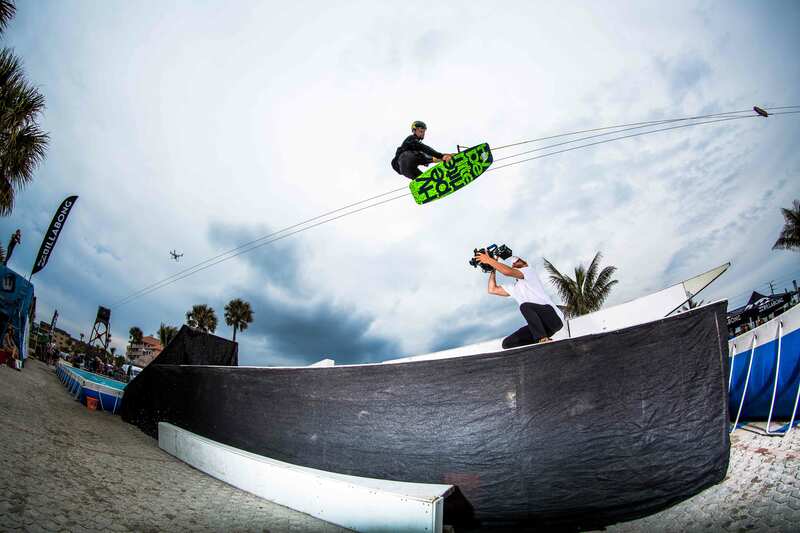 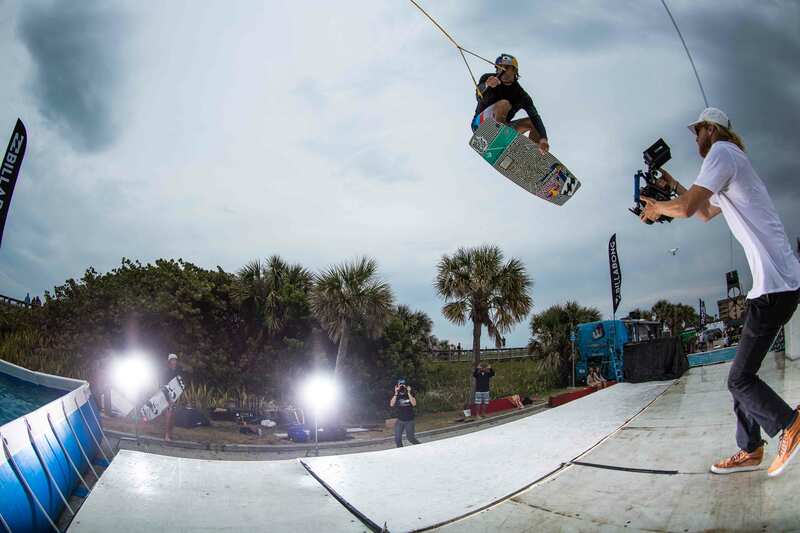 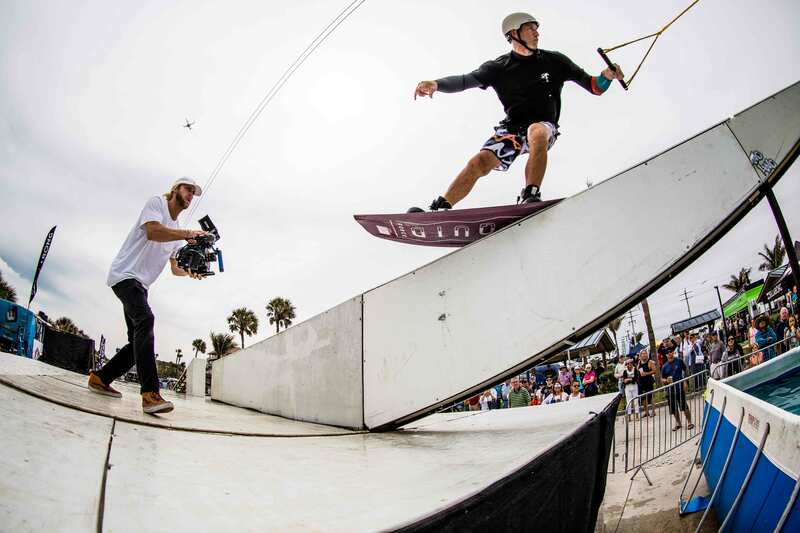 The pool jam is just one part of the event, with a WSL surf contest going on down on the beach, Van’s skaters shredding the pop up ramp, and with plenty of awesome food trucks, the stage was set for some solid rail jam action and the riders did not disappoint. 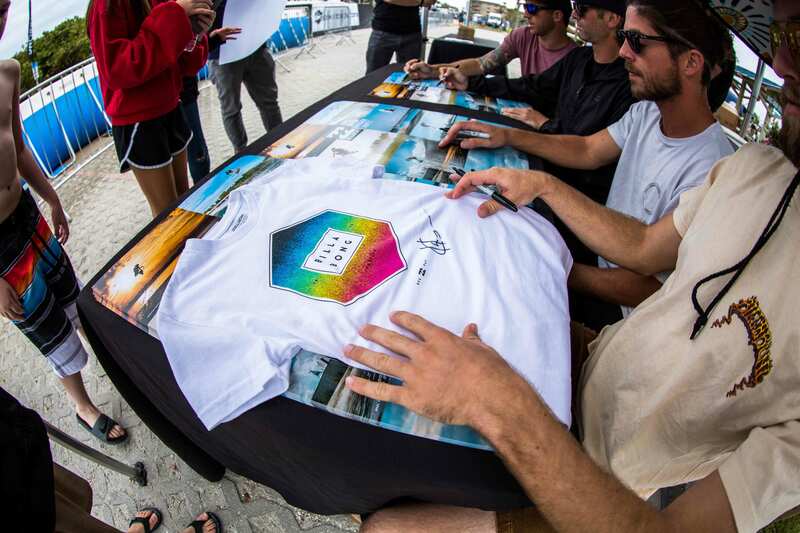 Billabong riders Shawn Watson, Marc Rossiter, Cody Hesse, and Brian Grubb were entertaining the crowd with product tosses and autograph signings to keep the stoke level up and then killing the set up when it was show time. 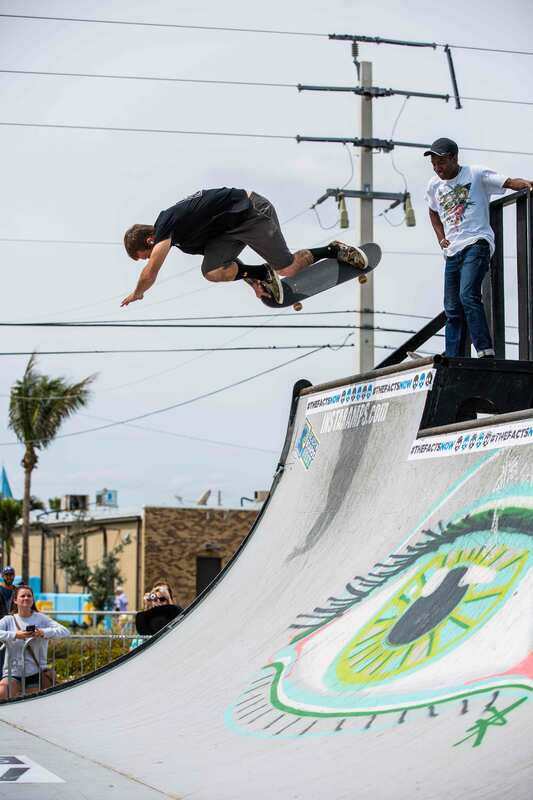 A few other riders like Derek Huntoon, Josh and Brandon Harris, and Nick Walker were also out there to throw down for the crowd. 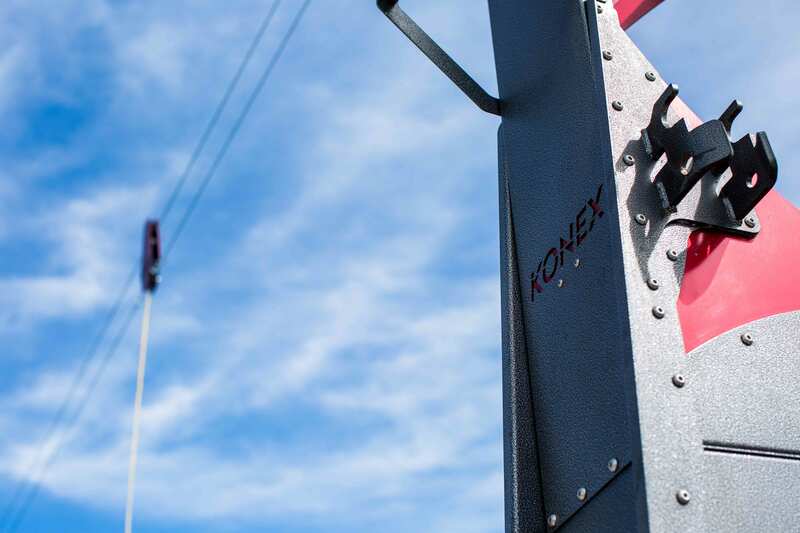 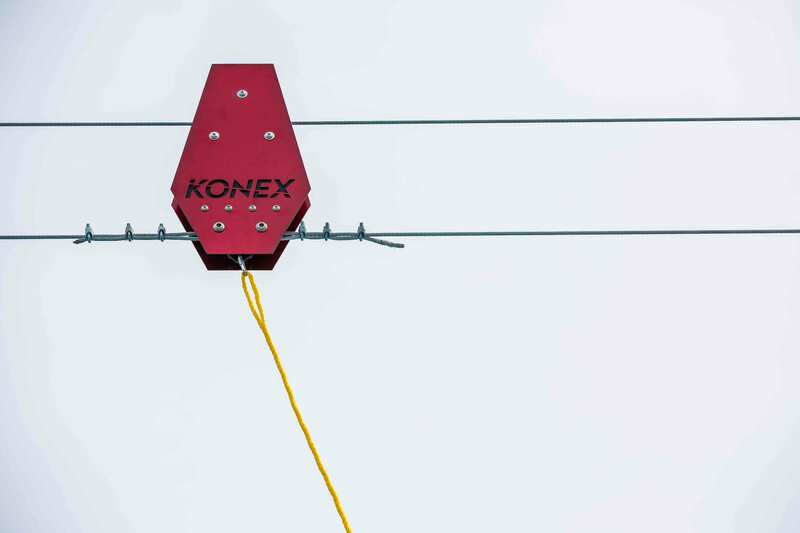 For the first time, the event was pulled by the new Konex two tower system, which is an incredibly well engineered 2-way system. 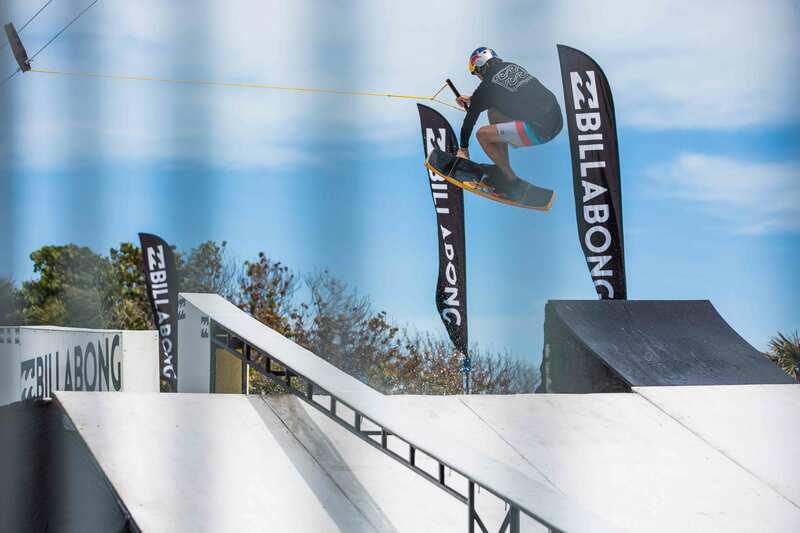 The rail jam ran smoothly and the 2-way system ensured no down time between riders and the riders were definitely stoked on the consistent pull that the Konex provided. 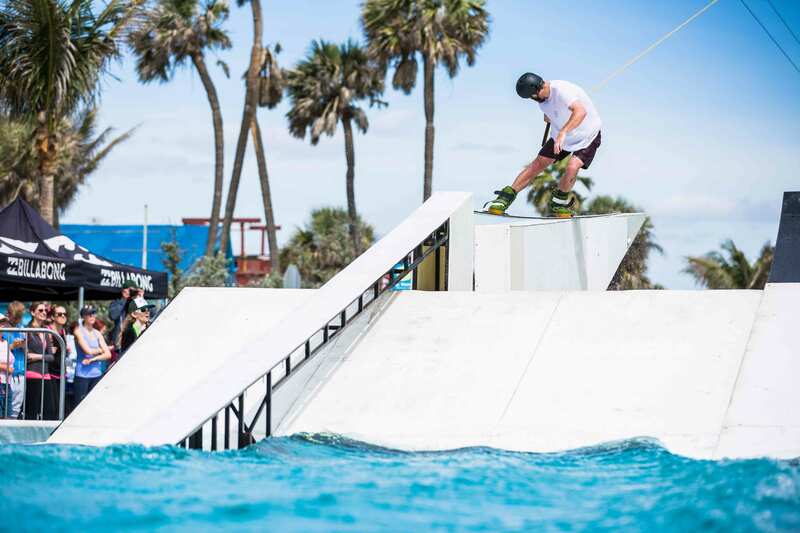 Cody Hesse sent it off the kicker more than a few times with his signature style while riders like Watson and Rossiter got techy on the up to flat rail. 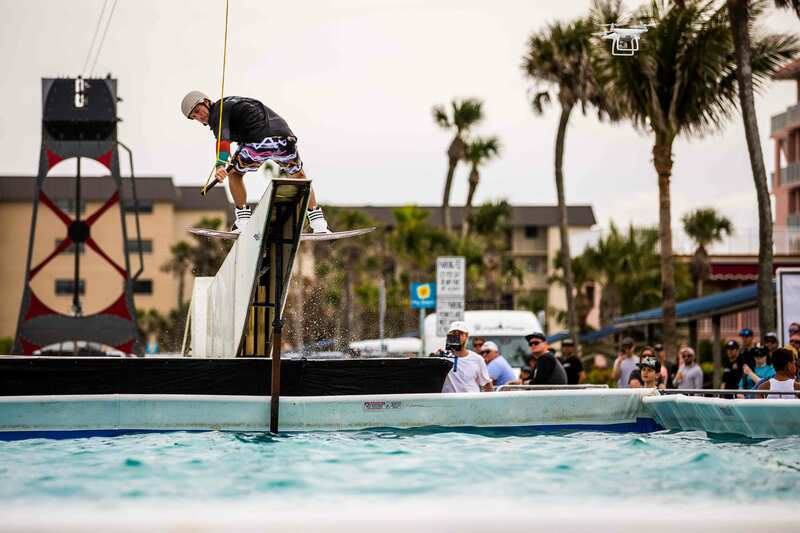 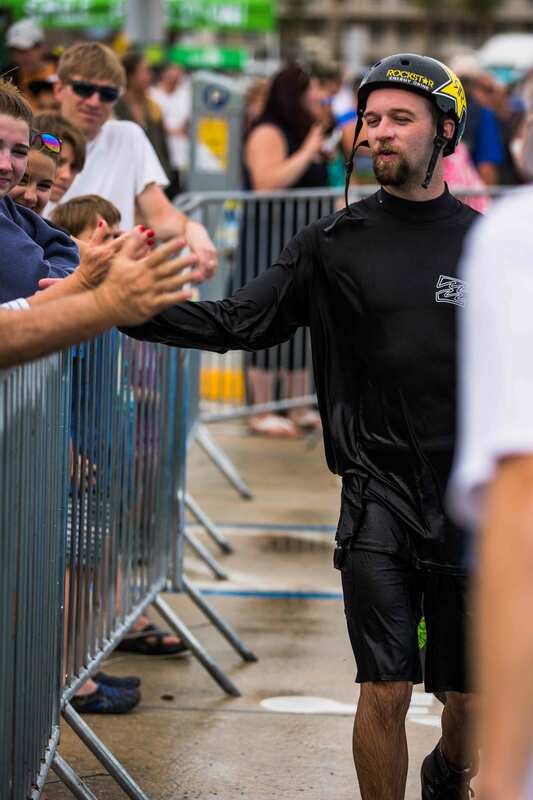 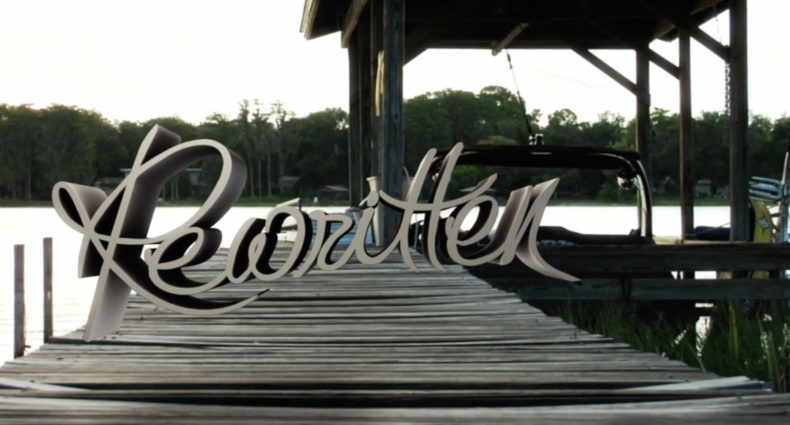 And with Grubb being the only wakeskater, he had to show what was possible on the skate by boosting off the kicker with some lofty shuv-it indy’s into the landing pool. 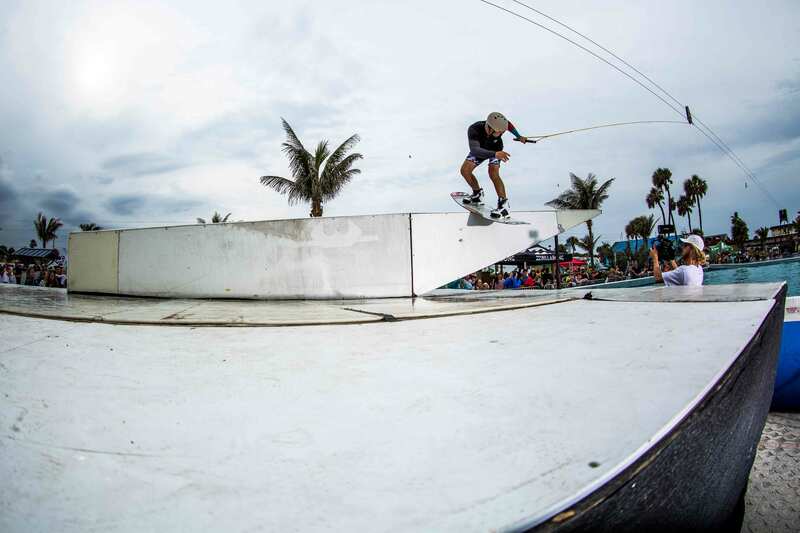 Special thanks to Step Up Productions for putting on an awesome event, Konex for coming through with the cable, and all the riders for sending it! 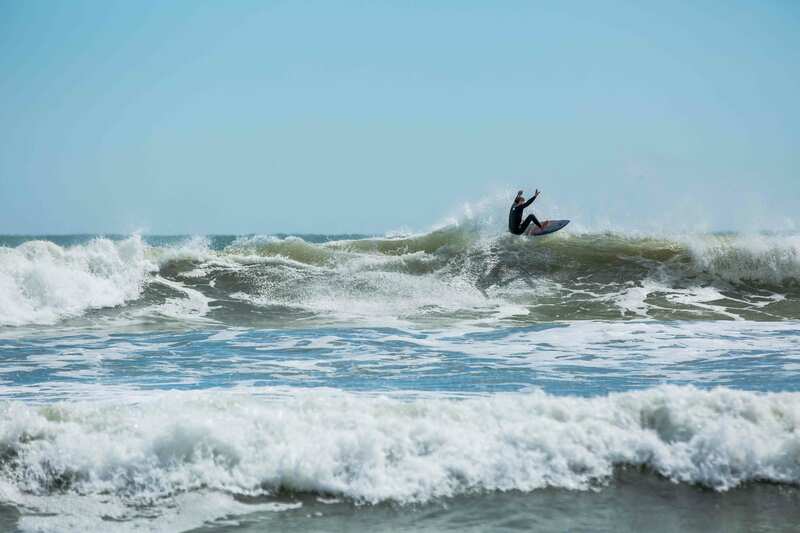 See ya next year Cocoa Beach!